Despite the title, this is a very earthbound collection. Hearts of Space devotees may already be acquainted with Berkeley-based musician Forrest Fang’s East-meets-West instrumental soundscapes, but many of these tracks are accessible enough to pull in all kinds of listeners. Letters to the Farthest Star is a hefty offering pushing 70 minutes (or more if you include the bonus tracks) that does way more than merely provide a backdrop to meditation. The opening four-part suite, “The Unreachable Lands,” delivers hummable melodies, bubbly rhythms, and rich textures that recall mainstream artists like Peter Gabriel. Like all electro-ambient artists, Fang employs an impressive arsenal of keyboards to create the lush settings that inhabit his music, although it’s the other instruments in his studio — including Japanese harp, gamelan, and Turkish lutes — that characterize his unique sound. Pieces like “Veldt Hypnosis” become pagoda-like edifices of noisy percussion built upon dense atmospheric foundations. It can all get a bit suffocating, but that’s also part of what sets Fang apart from more his more minimalist peers. His background as a violin player serves him well on the elegant “Seven Coronas,” and while he’s probably not a master, he’s more than capable on the Chinese zithers, hand drums, and myriad other instruments heard on these 13 tracks. Through it all there’s a sense of something ancient and mysterious, yet elegant and beautiful at the same time. As the last notes wafted into the ether I found myself reaching for the replay button more than once. 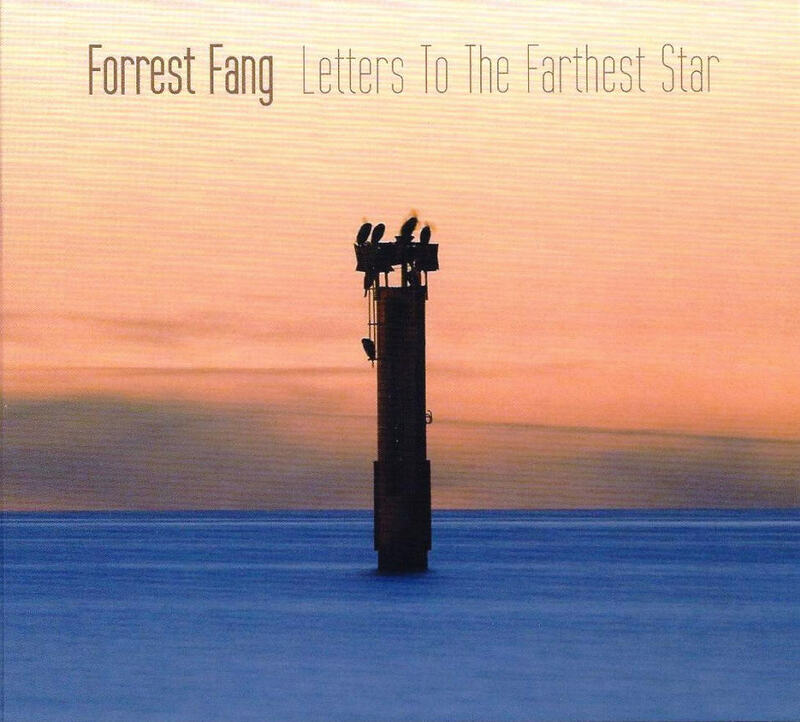 Since the early 80s, Forrest Fang has been creating his own special brand of music that draws instrumentation from around the world to create something unique, different, and pan-cultural – a sound that doesn’t necessarily owe anything to the cultures from which the instruments are drawn, but is reminiscent of them nonetheless. How can that not happen? One hears a guzheng (Chinese zither), for example, and the listener will immediately recall soundtracks from television and films where similar instruments were used, and thus the images form. This is the magical soundworld that Forrest Fang calls home, a place where moods and expression seize fragments of shadow and light, mixing these together with a veritable smorgasbord of world instrumentation which includes synthesizers, electronics, bandurria, mandolin, violin, lauta, hichiriki, cumbus, baglama, Indonesian kendang and saron, Japanese palm harp, and much more, mostly drawn from eastern and western Asian cultures. Mixed in with these are the ambient sounds created using electronics and studio processing; the result is a powerful and potent cinematic mix of sounds that draws the mind from place to place, outward and inward as well. Fang plays all these instruments himself, with a little help from Jeff Pearce on electric guitar. Counting his Invisibility collaboration with Carl Weingarten, this is Fang’s twelfth album, and in fact reflections of all those albums can be heard in this latest work, which starts with the side-long suite “The Unreachable Lands,” followed by six more pieces of varying lengths, each conveying a different feeling, capping off with the ten-minute “Lines to Infinity,” a potent mix of processed electric mandolin integrated with studio delay effects. Intense, spirited, and expansive, this is music like nobody else can make.